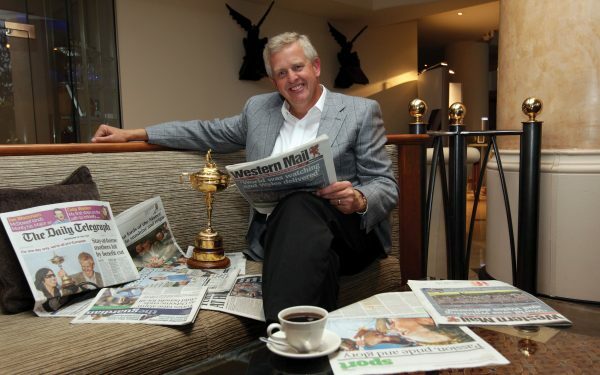 For so long Colin Montgomerie has been the bridesmaid at golf’s greatest festivals. Five times he has finished a runner-up in major championships. Yet he has consistently saved his best golf for the Ryder Cup. Last fall, though, he capped everything he had ever done on a course by masterminding Europe’s recapture of the iconic old trophy. Now the dust has settled on that triumph, Paul Mahoney enquires what the veteran Scot plans to do next. 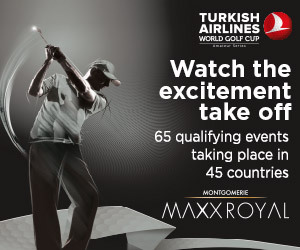 So that’s it, then, for Colin Montgomerie? Exit stage left, fly off into the sunset, fade to black, roll titles. Not so fast. Monty says he was so inspired by the atmosphere at the Ryder Cup in Wales that he wants to qualify for the European team in 2012, on merit! That would make him a player again at the age of 49 years. Perhaps he really does have one last hurrah left in him. Or perhaps he just can’t bring himself to retire only one-and-a-half points behind the all-time Ryder Cup points’ scorer, Sir Nick Faldo. Still, if all else fails, there’s always the course-design business. His latest venture at the Royal Golf Club in Bahrain is to host the season-opening tournament on the European Tour’s Desert Swing. Important thought that design work may be, especially going forward to the next phase of his career, it is stature as a player that still concerns the great man. “I need to get the confidence back,” Monty admitted. “That comes from 66s and 67s. If I can get that, I don’t need to beat balls all day long. I’ve never done it. Having spent two years plotting Europe’s Ryder Cup victory, Monty says he is looking forward, mentally and physically, to the new year to get back to concentrating solely on his own game. He began the first day of the rest of his career at Kingsbarns during the Dunhill Links Championship, just three days after ‘Monty’s Monday’at Celtic Manor, and shot a perfectly acceptable 72. “All things considered, that was a bloody good effort,” he said. At his peak Monty was unquestionably Europe’s finest golfer, and the greatest ambassador for its Tour. He won 31 tournaments and eight Order of Merit titles, seven of them in a row. It is an achievement that will probably never be beaten. Despite failing to capture that elusive major championship title, he is a dead-cert to be enrolled at some stage in the PGA Tour’s Hall of Fame for his services to golf. And as for the Ryder Cup, Monty is a legend. Eight matches unbeaten in the singles. Indestructible! He marched out in the No.1 position in the singles against Scott Hoch at The Belfry in 2002, birdied the 1st hole and sent Europe on the way to victory. He holed the winning putt at Oakland Hills in 2004 as a captain’s wild-card pick—and every member of Bernhard Langer’s team signed the flag from the 18th hole and presented it to Europe’s talisman. Something that rhymes with ‘rollicking’ would be close, apparently. And, of course, the influence of Seve Ballesteros, engaged so movingly in his own battle with cancer, was everywhere. Monty arranged a teleconference with Seve at his home in Spain. Then, on the course, Monty invoked memories of Seve at Valderrama in 1997. The Scot was seemingly everywhere—on foot or in his buggy, with his walkie-talkie clamped to his ear like a 1980s stockbroker’s cellphone. For Monty, it was mission accomplished. Hero! Would he do it all again? “No, there are no circumstances to make me do this job again. No,” he insisted. But Monty just couldn’t walk away completely and has already volunteered to be an assistant in 2012. “I wouldn’t hesitate at all. I would be honored to help the European cause,” he said. “It’s all about the team,” was Monty’s mantra at Celtic Manor. “I take no personal satisfaction from this,” he said. But he couldn’t contain his pride come the closing ceremony. And only a bitter curmudgeon would begrudge him his moment of glory. “This is one of the finest moments of my golfing career… sorry, the proudest moment of my golfing career,” he said to mass adulation. Arise, Sir Colin. Or how about Lord Monty of Troon? Surely, it is nothing more than this charming, though often irascible, Scot deserves than to join the pantheon of Britain’s great sporting Knights of the Realm. Every other year the Ryder Cup gives tournament golf a heightened lease of life. National pride, tourism revenue, personal egos and self-interest ensure there is never a dull moment when the European Tour needs to select a Ryder Cup venue.